Orlando police do their best to consistently patrol every neighborhood in our great city, but they can’t be everywhere at once. A well-run Neighborhood Watch group can dramatically improve neighborhood safety for everyone by providing additional eyes and ears to watch out for and report crimes to police. So, what is Neighborhood Watch? Neighborhood Watch is a community crime prevention program started in 1972 by the National Sheriffs’ Association. It helps neighbors organize to look out for each other and prevent crime and vandalism within their neighborhoods. Neighborhood Watch members are expected to be vigilant in observing their neighborhoods for suspicious activity, but never to take action on those observations. Instead, they are instructed to always call 9-1-1 to contact law enforcement if they suspect a crime is in progress. Having a Neighborhood Watch in your community brings neighbors together, encourages community involvement, promotes observation and gives residents tools for enhanced home security and personal safety. Starting a Neighborhood Watch group is easy. Just contact the OPD Neighborhood Watch Unit. You will then pick a location and time for your first community meeting. OPD will provide you flyers promoting the meeting to distribute throughout your neighborhood, community, apartment complex or condominium community. At that initial meeting, your assigned Neighborhood Watch Specialist and Community Liaison Officer will provide attendees an overview of the program and answer any questions. If your neighbors are on board at the conclusion of that meeting, you will be supplied all necessary materials to officially start your Neighborhood Watch. 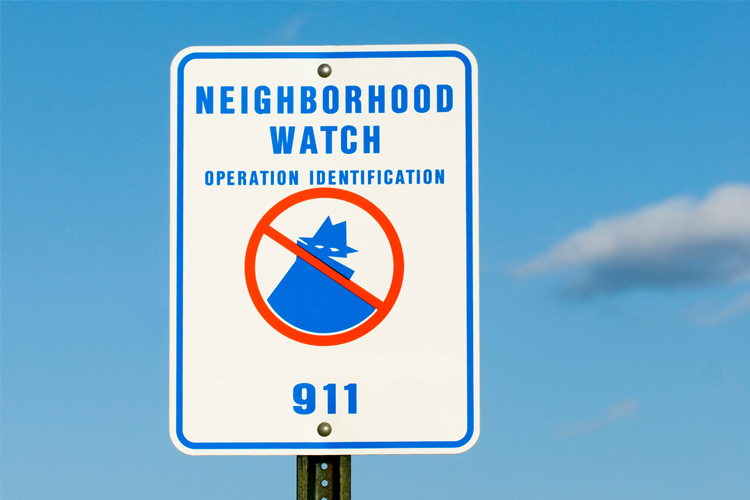 For a Neighborhood Watch to remain active, you must meet twice per year, have participation from at least 40 percent of residents, and elect a Neighborhood Watch Block Captain to serve as the liaison between your neighbors and OPD. Take steps now to prevent crime and keep your family and neighbors safe. For more information on starting a group, contact the Orlando Police Department Neighborhood Watch Unit at 407-246-2369.